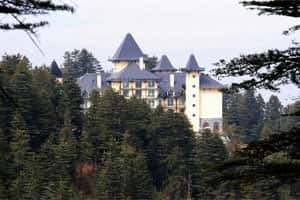 A view of Oberoi Hotels &amp; Resorts Co.’s Wildflower Hall in Shimla. Photo: Bloomberg. EIH Ltd reported earnings in line with analysts’ estimates for the September quarter. Revenue rose 9.3% from a year earlier, which the company stated is the result of increasing occupancy rates and stable room tariffs. A view of Oberoi Hotels & Resorts Co.’s Wildflower Hall in Shimla. Photo: Bloomberg. The company’s performance displayed tight cost control at the operating level. Although, material cost as a percentage to sales rose, employee costs, and power and fuel expenses were substantially lower. As a result, operating profit at ₹ 29.37 crore was nearly two-and-a-half times higher than a year before. But it was lower than that in the June quarter, perhaps because the September quarter is normally the weakest one for the hospitality sector, compounded this time by a global economic slowdown. However, EIH’s reduction in interest outflow aided profitability. Its interest outflow reduced to ₹ 11.9 crore in the three months ended September from ₹ 40.2 crore a year ago and ₹ 20.7 crore in the June quarter. This was possible because of repayment of loans from the the rights issue proceeds. A lighter balance sheet with a debt-equity ratio of 0.17:1 will help earnings, as the hospitality sector is expected to see better days in the second half of the current fiscal year. Most premium properties have already raised room tariffs to cash in on the forthcoming tourist season. Trading at around ₹ 94 each, the company’s shares have underperformed the BSE benchmark Sensex, like its peers, since the economic downturn in 2008. But a section of analysts feels the stock has bottomed out. EIH commands better valuations than peers, since it has a higher proportion of premium properties compared with others.